You don’t have to have your own Web site, or install blogging software, or even figure out how to set up the advertising. AtBlogger you can set up a blog for free in less than five minutes without knowing a thing about web design, and Blogger even automates setting up Google AdSense so you can make money off your blog by displaying ads and getting paid when people click on the ads. To make even more money from it, set up an affiliate program (see below) for books, music, etc., and insert your affiliate links whenever you refer to those items. You’ll have to get a lot of traffic to become a six-figure blogger, but pick an interesting topic, write well, tell all your friends, and you’re off to a good start. Are you an expert on a particular niche topic? Can you put together an overview of the topic and assemble some of the best resources on the topic from around the web? Then you can create topical hubs and get paid through sites like Squidoo,HugPages and Google Knol. 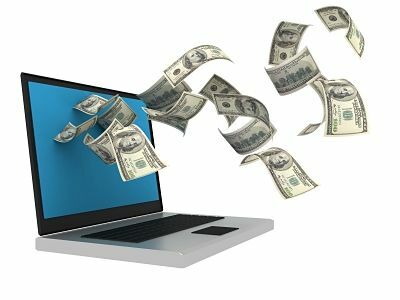 Payments are based on a combination of ad revenue and affiliate fees. You’ll get higher rates doing it on your own, but these sites have a built-in supply of traffic and tools to make content creation easier.